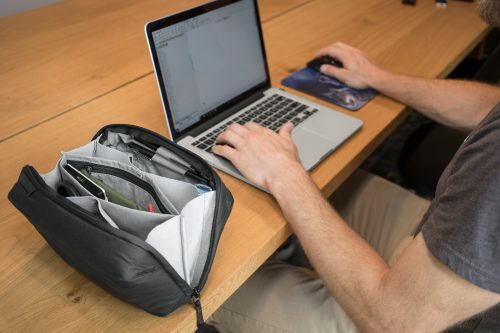 Tech Pouch จำเป็นต้องใช้กับ Travel Backpack 45L เท่านั้นหรือเปล่า? 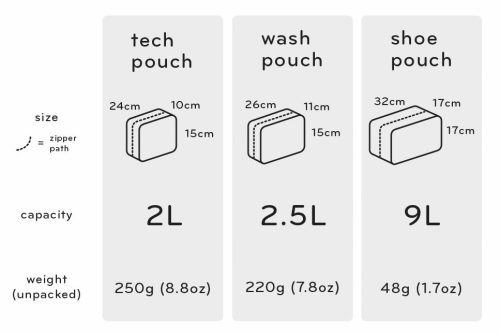 Tech Pouch ใส่ Tablet ได้หรือไม่? REIMAGINED ORGANIZATION : Origami-style internal pocket layouts for aesthetic and sleek organization. 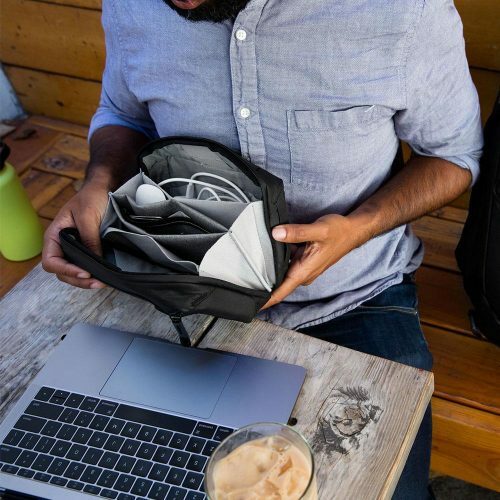 STORAGE : Smaller accessory pockets to store pens, SD cards, batteries, and more. External passport and document pocket included. 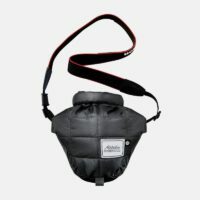 SYNCS WITH GEAR : Anchor attachment points connect to Peak Design straps, sold separately. POCKETS FOR DAYS : Various top and side soft-lined, zippered stash pockets for items. PERFECT FORM : Bag holds its shape. Sits upright, packed or empty. 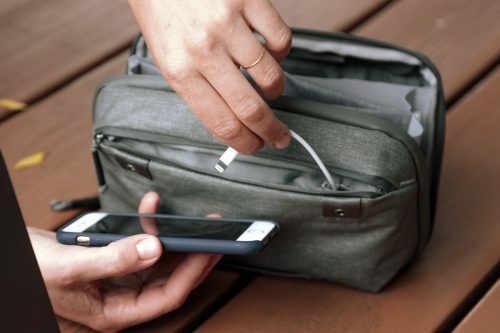 BUILT FOR TECH : Cable pass-through for charging devices. 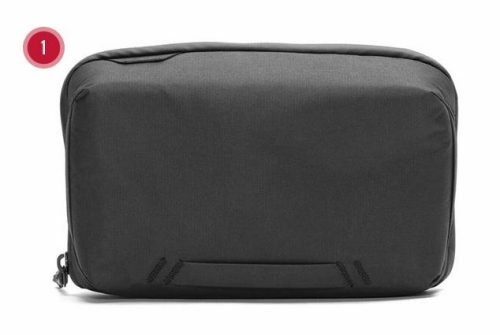 WEATHERPROOF DURABILITY : 100% recycled 200D nylon and DWR impregnated shell. Water resistant. Oversized, sturdy weatherproof zip. 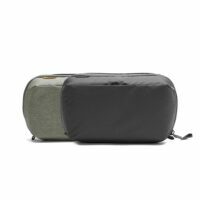 EXTERIOR (SAGE) : Fabric: Weatherproof 250D Nylon and polyester. 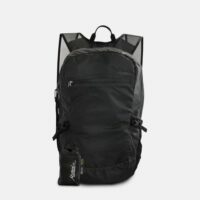 C0 WR treatment, PU face coated, waterproof TPU Coated zoom zippers, and woven nylon webbing. Lightweight perforated EVA foam and trims. Hypalon logo badges. 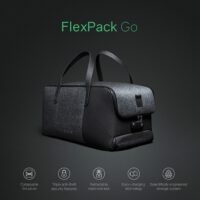 EXTERIOR (BLACK) : Fabric: Weatherproof 160D Nylon, C0 WR treatment, and a matte polycarbonate face-coated. Waterproof TPU Coated Zoom zippers and woven nylon webbing. Lightweight perforated EVA foam, trims and tan leather. Hypalon logo badges. INTERIOR : 210d Melange nylon and polyester with a C0 WR treatment and a PU face coating in fabric. Embossed WPS, Ykk Zippers, Elastic band (pen holder), and polyester twill binding.